The post RPM – Getting Better But CMS Still Needs a Nudge appeared first on Vivify Health®. The post Podcast: How RPM is Redefining Reimbursement Attitudes by CMS and Others appeared first on Vivify Health®. The post Vivify Health Achieves Prestigious SOC 2 Compliance appeared first on Vivify Health®. PLANO, TEXAS— March 19, 2019—Vivify Health, the developer of the nation’s leading connected care platform for holistic patient care and engagement, announced its Pathways platform has earned a Service Organization Control 2 (SOC 2) Certification, which is the result of a rigorous, third-party security and availability audit of its technology and processes. Pursuing and earning the audit attestation is another demonstration of Vivify Health’s unified, all-out effort to be the best-in-class and industry-leading remote patient care technology, demonstrating their commitment to data security through the practices and procedures it follows for protecting against unauthorized access, maintaining the availability of its service, and protecting the confidential information of its customers. highest patient data protection standards. The post FTInsights: 2018 – Takeoff time for Remote Patient Monitoring? appeared first on Vivify Health®. The post Vivify Health Expands Office and Launches New Website appeared first on Vivify Health®. 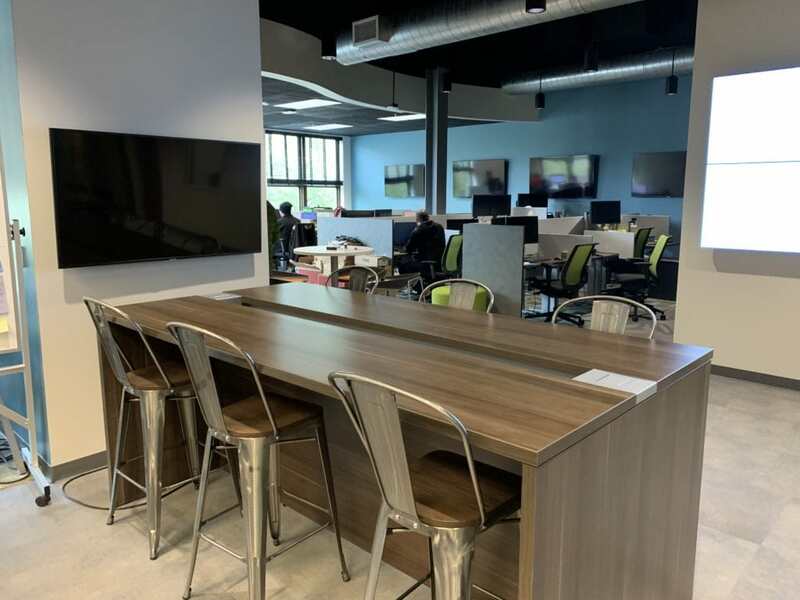 Today we’re very happy to announce that, due to extraordinary growth, we have expanded our physical office space at our Plano, TX headquarters. Working with our building management company, we’ve secured an additional 40% of office space, occupying the previous tenant’s area adjacent to Vivify’s office space. Vivify originally occupied the current space in 2014; expanding again in 2016. This is the 3rd expansion. In addition to facilities expansion, we are also pleased to announce that our new website has launched! 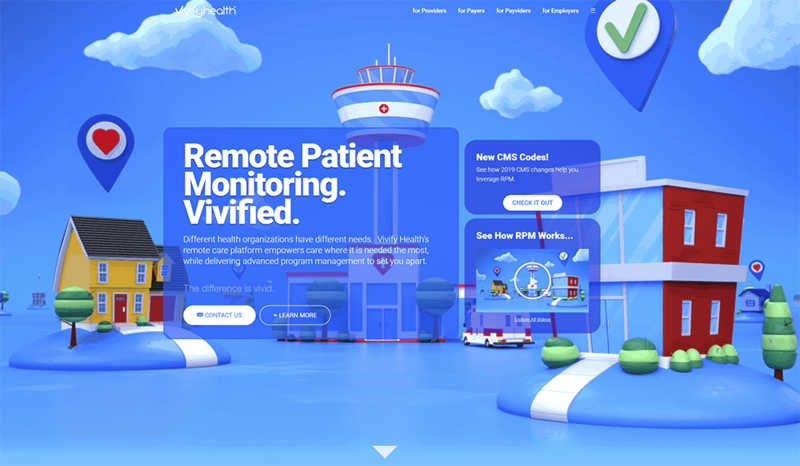 It is a huge update on the look and feel, which includes the release of our latest video that illustrates how Remote Patient Monitoring (RPM) works with Vivify Health. This new site, we believe, better embodies our innovative and easy-to-use approach in assisting both customers and patients. This update to our website includes many elements from the video to promote a seamless brand experience. To learn more, check out our site here. The post Vivify Health Launches Next Generation Mobile Solution with Customizable Clinical Algorithms to Guide and Monitor Rising-Risk Patients appeared first on Vivify Health®. The post Trinity Achieves Provider and Patient Engagement in Remote Patient Monitoring appeared first on Vivify Health®. No matter how brilliantly designed a program is, no matter how sophisticated the technology behind it is, no matter how much money the executive team or C-suite puts behind it, the simple fact is an RPM program won’t work if it isn’t being used. Trinity Health At Home understood this principle and went to great lengths to ensure both providers and patients understood the potential benefits and became fully engaged in it. For clinicians, the primary motivator in the adoption of new technologies is how it will help improve their ability to drive better health outcomes for their patients. Clinicians are often frustrated by new technologies and workflow changes that create extra work without delivering additional value. Trinity Health understood this, and so worked with Vivify to educate clinicians on how the RPM program could help them become more efficient while helping their patients achieve one of their biggest health goals – staying at home and out of the hospital. Trinity Health also understood that having willing participants among the staff was key to success. Since their roles would be changing, Trinity Health had all staff members re-interview for their jobs to be sure they would have the right people in place to launch the program. Once staffing was set, they were shown how to use the technology to monitor patients and what the process should be if something was going wrong with a patient. They were also taught how to make and receive virtual calls. This included not just how to turn the camera on and off, but how to best take advantage of these calls to gather more information (such as moving the camera around to check on the status of equipment.) 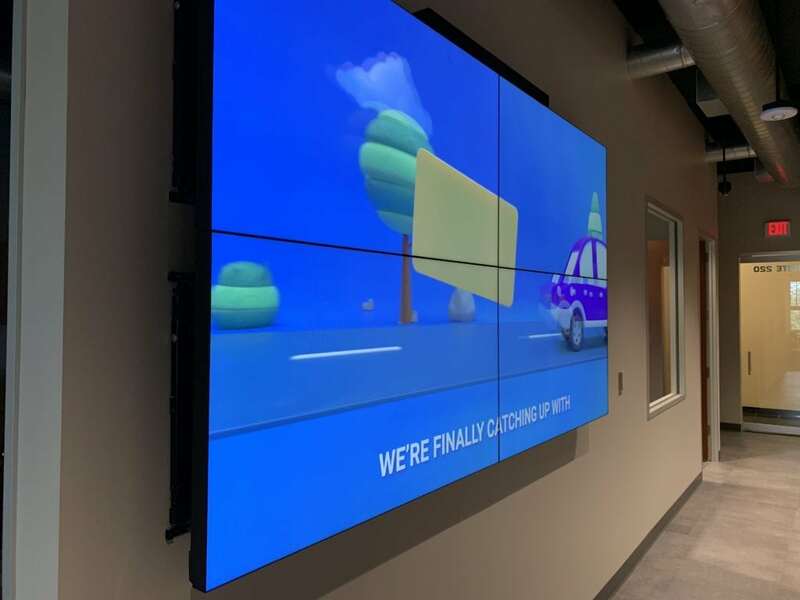 They were also shown how the RPM program would help them work just as effectively with patients while eliminating much of the normal travel time to patients’ homes, making it possible for them to help more patients more efficiently. Since the nurses in the Trinity Health At Home program would be working from home, in some cases they had to beef up their personal technology, such as installing high-speed wi-fi so they could use the portals, improving security to meet Health Insurance Portability and Accountability Act (HIPAA) requirements, or adding a webcam if their tablet didn’t have a camera. Physicians were also shown how technology could help them unclog overloaded waiting rooms and reduce their own workloads while increasing patient satisfaction and health. Many patient needs that start out small could be handled virtually, such as reminding a patient with congestive heart failure (CHF) to take a water pill if they showed a sudden weight gain overnight. Fewer office visits meant more time to work with those patients who needed more attention, and more time to get to know the stories behind the patients in order to drive better outcomes. Compliance, of course, represented the greatest challenges. Hospitals and health systems have levers they can pull to improve compliance. If it is to be successful, patients must be educated on the health and wellbeing benefits of program participation. Trinity Health At Home begins generating enthusiasm among patients and caregivers while the patient is still in the hospital. The home care coordinator explains that the patient’s doctor thought that the patient should participate in the program, and shows a video that explains the Trinity Health At Home program and how it works and then how to use the tablet. The video shows a patient doing a care pathway, answering questions on the tablet, and taking his or her own vital signs. The home care coordinator then demonstrates how easy it is to take readings using the supplied equipment and to use the tablet to answer simple questions such as how the patient is feeling that day. Once the patient is intrigued, the home care coordinator asks for consent to participate in the Trinity Health At Home RPM program. By that point, very few patients decline to give it a try. In fact, most look forward to participating, especially when they understand that using it on a daily basis can help them stay at home longer and remain out of the hospital. When the patient goes home, Trinity Health At Home schedules a nurse visit to not only help the patient get settled in, but also to bring and set-up all the RPM equipment, make the wi-fi and Bluetooth connections, and show the patient and/or caregiver how to use the equipment and report results in more detail. The nurse can answer any additional questions and ensure that the patient has everything needed for the program to operate smoothly. One of the advantages of this program is that everything patients need to do is pushed to them each day. They don’t have to think about what button to push next; the technology walks them through it the way a setup wizard walks computer users through an installation. Another advantage is the education it offers, empowering patients to make significant lifestyle changes that improve their health. The RPM program includes 8 weeks of automated digital conversation aligned to the care pathway the patient is on. The more the patient learns, the more compliant the patient becomes, ultimately driving better outcomes. Finally, the way the RPM program is presented, patients feel that the nurses they work with for virtual care are part of Trinity rather than being outside contractors. This helps strengthen the relationship between the patients and the Trinity Health At Home staff and reinforces the idea that it is a total healthcare solution. The results have been astounding. Trinity Health At Home has a 90% compliance rate all the way through the program. The patients seem to enjoy seeing their readings each day, and the numbers provide an incentive to stick with their care program because they want to be sure they get good readings. How much is the virtual call capability being used? Over the course of the program, there were 30,261 virtual calls made, which together resulted in 165,786 minutes (2,763 hours) of virtual care, with each call averaging 5.5 minutes. Of those, more than 6,000 were initiated by nurses who saw an issue and made a preemptive virtual call lasting an average of 6 minutes for a total of 36,966 minutes (616 hours). Typically, the RPM program runs for 60 days. If the patient has a low-risk health score at the end of that period, they are done with the program. But if, in the opinion of the care team, the patient remains at high risk of readmission, the RPM program can be extended for another 60 days – and even 60 days beyond that if-needed. It’s all about driving the proper outcomes. Clearly, the Trinity Home At Health program is working. In the final blog post in this series, we will look more closely at the Return on investment(ROI) and a few lessons that were learned along the way. The post 2018: Redefining Healthcare Delivery and Growing as a Team appeared first on Vivify Health®. At the end of every year, as we seek to wrap up key projects, while juggling time with our families and friends, we have the opportunity to look back at everything accomplished. For Vivify Health, the past 12 months have been an exciting period of growth and innovation for our company and the industry as a whole. Our amazing trend of doubling in customer growth year-after-year has continued! This is due to the hard work and dedication of everyone on board, from our sales and clinical consulting teams’ great work in growing our footprint with existing customers and earning new clients; to our development and support teams who continue to make our growing digital health platform the best in the industry. Vivify Health has grown with our customer needs, enabling healthcare organizations to better manage their patient populations outside of the traditional clinical setting, with true patient engagement through our Kit solution and Bring Your Own Device (BYOD) offerings. As a result, our customers have grown their population health programs and are seeing significant outcome improvements and huge gains in patient satisfaction. After all, everyone would prefer to be able to heal and manage their conditions at home, as opposed to being admitted to hospitals and skilled nursing facilities. Better outcomes and highly satisfied patients are a very big deal for our customers, many of whom are making operational changes as the industry inches further and further away from fee-for-service toward value-base reimbursement models. Certainly, these positive developments have not gone unnoticed. Vivify was honored this year with an award from Frost & Sullivan as a Strategic Product Line Leader for our remote patient monitoring solutions. Additionally, leading healthcare technology researcher KLAS named Vivify as one of the most discussed remote monitoring companies in healthcare, as they move to announce the market leaders in the fast growing segment of Remote Patient Monitoring. The success of our platform isn’t only being lauded by top analysts. Some of the biggest news in healthcare in 2018 came out of changes made by the Centers for Medicare and Medicaid Services (CMS) to provide higher reimbursements for services provided via remote monitoring and telehealth platforms. The attitudes of payers are changing as they see the high value of our technologies in helping to reduce costs through better population management. These positive changes in perception regarding the value of remote monitoring couldn’t come at a more exciting time. Vivify’s innovation team has been working extremely hard in 2018 on our second-generation BYOD solution, now including intelligent algorithms to automate pathway adjustments for patient self-management, requiring fewer clinical resources to manage growing remote care populations. We are leading the drive to give patients and providers the ability to manage their care from the palms of their hands, with fewer limits than ever. Our team is thrilled with what this will mean for patient engagement, as patients will be given the freedom to manage their care and interact with their care team wherever they are, while incorporating biometric devices and traditional telemedicine virtual visits. By lifting any location-based limitations on our platform, while lowering technology and clinical costs, we’re excited about its potential to help improve care for both high-risk patients and rapidly expanding rising-risk populations. The possibilities are endless. I cannot finish my end of year sentiments without showing my appreciation for everyone on the rapidly growing Vivify team. Our successes are not possible without any of you. On behalf of the entire leadership team, thank you for your work every day. It is helping make the jobs of healthcare providers easier, it is improving the lives of patients and it is redefining healthcare delivery. I wish you and your families a joyous holiday season and a very happy New Year! The post Munson Home Health Care Sees 64% Reduction in Readmissions Using Vivify Health’s Remote Patient Monitoring Platform appeared first on Vivify Health®. Following this successful roll-out, Munson is expanding its remote patient monitoring program by doubling the number of kits from Vivify Health. Munson recently worked with Vivify Health to create a video to further tell the story of how the remote patient monitoring program is impacting patient lives. View that video here. Munson Healthcare Home Health is part of Munson Healthcare, northern Michigan’s largest and leading health care system. Based in Traverse City, Mich., the system includes nine award-winning community hospitals, and related organizations serve people in 30 counties. Munson Home Health serves 23 of those counties. Based in Traverse City, Mich., Munson’s team of healthcare experts, nine award-winning community hospitals, and related organizations serve people in 30 counties. Most of the region’s 540,000 residents can receive comprehensive quality care in or near their local community with access to sophisticated diagnostic technology such as 3D tomography, advanced cancer and heart treatments, and the latest robotic technology, stereotactic radiosurgery, and non-invasive surgical procedures. Patients in northern Michigan also benefit from Munson Healthcare’s collaborative partnerships with major health care systems, including Mayo Clinic, Michigan Medicine, Spectrum Health, and Mary Free Bed Rehabilitation Hospital. For more information, call Munson Healthcare Home Health at 1-800-252-2065 or visit munsonhomehealth.org. The post Remote Patient Monitoring a Cornerstone in Trinity Health’s Drive toward Value-Based Care appeared first on Vivify Health®. In the first post of this series, we looked at the big picture of how technology-based remote patient monitoring (RPM) can help improve outcomes and lower the cost of managing high-risk patients – especially those with multiple chronic conditions. Without a doubt, it all sounds good in theory, as many healthcare innovations do. But how does it work in actual practice? That’s where the real value will be determined. One organization that has been using RPM with great success is Trinity Health, one of the largest non-profit, multi-institutional Catholic healthcare delivery systems in the nation. Trinity serves patients in 22 states from coast-to-coast through 94 hospitals and 109 continuing care locations that include home care, hospice, Program of All-Inclusive Care for the Elderly (PACE), and senior living facilities. One of Trinity’s most important goals is to move 75% of its revenue to value-based reimbursement by 2020. They understand that keeping patients out of the hospital and the emergency department (ED) by helping them stay healthier at home is critical to achieving this objective. They knew RPM technology could help, but they also understood that technology alone wasn’t the solution. The average age of the patients who eventually became part of the Trinity Health At Home program is 75. Those patients didn’t grow up using our modern technology, so Trinity needed to find a high-technology program that could effectively monitor the health status of high-risk patients at their homes. The program especially needed to be easy for the patients and their caregivers to understand and use. Among the many RPM programs on the market, Trinity selected to partner with Vivify because it best met all the desired criteria. Trinity had some very clear goals for the Trinity Health At Home program as well. One was to reduce preventable hospital readmissions. At the start of the program, readmissions were in the 13-15% range. They wanted to take that number down to the single digits, both to take advantage of re-admission reduction incentives from Centers for Medicare and Medicaid Services (CMS) in the present and to better position themselves to reduce their costs under value-based reimbursement arrangements in the future. They also saw reducing readmissions as the right thing to do. Entering the hospital, or even going to the ED, is tremendously disruptive to the lives of patients. If they could head off events that lead to hospital readmissions and ED visits, it would improve the quality of life for the patients and their families. Finally, Trinity wanted to reduce the number of PRN (when necessary/unplanned) visits to the home by nurses. PRN visits are relatively expensive and they are time-consuming. In an era where there are already nursing shortages in many areas, the total time required for an in-home visit to address issues that could have been avoided by RPM, is time taken away from helping other patients. Initially, Trinity started with a pilot program for proof of concept. Its success – only one patient out of the 55 participants had a readmission within the 60-day timeframe – led to expansion of the program. Today, Trinity Health At Home encompasses 12 home health agencies, with plans to add two more in the coming months. The Home Care Coordinator identifies potential patients for the Trinity Health At Home program while the patients are still in the hospital. Trinity has been very aggressive in this pursuit, with the program being applied to more than 80% of Medicare episodic discharges that meet the criteria. Trinity sets the initial time period for use of the RPM technology is 60 days, although it can be extended where there is demonstrated need to continue. Once eligibility has been confirmed, a nurse visits the patient prior to discharge to explain the program, provide a demonstration, and obtain signature consent. A logistics coordinator at Vivify then assigns a health kit and sets up an appointment for a Trinity Health At Home nurse to visit the patient at home, bring out and set up the health kit, and teach patients and/or caregivers how to use it. This initial in-home visit has been critical to the success of the program. Rather than simply sending the technology to the home with instructions, the nurse is able to not only explain the technical workings but also deliver a level of comfort in working with it. The first personal visit begins building a working relationship of trust which, in turn, increases compliance. Included in this initial meeting is showing patients and caregivers how to use the “call” button to make a video call. Encouraging patients to use video instead of voice-only calls has been highly successful in driving better health outcomes as well as saving time. For the nurses, being able to see what is going on with patients means they don’t have to rely as much on patient descriptions for information, and patients can’t hide certain conditions as easily because they’re simply afraid of hearing bad news. Nurses also use this visit to determine if any changes or improvements need to be made in the home, such as adding or beefing-up a wi-fi connection or adding a video camera to a tablet that doesn’t have one. They then arrange for the changes to be made. Each day, patients take readings, such as blood pressure and weight, and submit them through the tablet. They also answer a series of questions (such as, ”How are you feeling compared to yesterday?”) The questions are designed to obtain a more complete understanding of the patient’s health that might not show up in only the factual numbers. All of the information goes to the appropriate Trinity Health At Home nurse. Each nurse works from home, making more time available to monitor patient data. If a patient hasn’t submitted data by 10 a.m. local time, the tablet provides gentle reminders to do so. If the information hasn’t been received by 10:30, the nurse will proactively make a video call to the patient to ensure everything is alright and remind him or her to get the data in. Obtaining the data is rarely a problem, however. Trinity Health At Home reports a better than 90% compliance rate among patients participating in the program. The use of video calls that are available 24-hours-a-day has been especially instrumental in helping Trinity Health At Home reduce PRN nurse visits. Prior to the start of the RPM program, Trinity Health At Home was averaging 6 PRN visits per 60-day period. That number has already been reduced to 5, with a goal of reducing it further to 4. One way that has played out was with a patient who made a video call saying his catheter had stopped dripping. Normally, a nurse would have to drive to the patient’s home and check the catheter for problems. In the meantime, the nurse would be unavailable to help others for anywhere from 1-2 hours, depending on the distance. With the video call, the nurse instructed the patient to move the tablet to his side, where she could see that the stopcock was closed. She explained how to open it and the problem was solved in a few minutes. The Trinity Health At Home RPM program has also led to two other significant measurements of success. The first was in 60-day readmissions, which have been reduced from 13-15% to roughly 8%. This alone has enabled Trinity to improve revenue by taking advantage of CMS incentives while reducing its costs. The second success is in patient satisfaction with the program, which is currently in the 90%+ range. Patients are getting answers faster, staying healthier, and avoiding more disruptive trips to the ED or inpatient stays. They are very appreciative, and Trinity expects this high level of satisfaction will be reflected in its The Healthcare Effectiveness Data and Information Set (HEDIS) scores and Medicare Star ratings. In Part 3 of this series, we will cover the reactions of patients, caregivers, and clinicians and how the Vivify RPM sets up Trinity Health At Home for additional future success.